“Monster” cookies for both their size as well as all their delicious ingredients. They are the perfect blend of everything you love about a cookie. Creamy from the Peanut butter, chewy from brown sugar and oatmeal, and of course super sweet from the raisins and dark chocolate chunks. And even better still, you can mix them up in just a matter of minutes in one, big bowl using not one single piece of specialty kitchen equipment… except for a rubber spatula. Such a simple batter, and you didn’t hear this from me, but the batter is almost as good raw as it is baked and warm from the oven. Again, you didn’t hear that from me. In a large mixing bowl, combine the softened butter with the sugars and egg, and stir thoroughly to combine. Add the eggs, vanilla, and salt, followed by the creamy peanut butter and combine as well until it is one smooth mixture. Then fold in baking soda, the oats, raisins, nuts, and chocolate chunks until they are suspended throughout the batter. It will be very thick and stiff. These are classic drop cookies, so scoop up about 2-3 tablespoons of batter and place on baking sheet approximately 2 inches apart. Bake for 8-10 minutes exactly. Be careful not over bake. You want these to be still a little liquefied in the center, just browned around the edges, and just set enough to remove from the cookie sheet and cool on a baking rack or another sheet of parchment paper. Cool completely before storing away in an air-tight storage container. These will keep for 3-5 days. I think you are going to love these! Whether you are gluten-free, or not! The thing I have to say that I appreciate most about Southern women, and there are many things I appreciate, is that when you compliment them on an item they are wearing like a sweater, lipstick, or pair of shoes, they rarely end that conversation with a simple “Thank you!” and typically the conversation continues to “I got them from TJ Maxx last week off Cumberland Pkwy. Only $59… you should go get some too!” We share where we got that item, when we got that item, and even divulge the price- especially if we are really proud of the deal we were able to procure. A few weeks ago, I returned home from a business trip and a small little package was waiting for me at my door from The Tiny Tassel. Sloan had surprised me with a little “happy” gift and had gifted me these awesome Kelly green tasseled earrings. I immediately threw them in my travel bag for my next adventure and have been wearing them about every 3rd day since. They really are a statement. But, the tassel-loving fun does not stop there! My latest find are their necklaces complete with gorgeous glass beads, a bright tassel, and these blue and white ginger jar inspired porcelain beads. Just stunning. In fact, i cannot decide which color combination is more stunning. Check them out and so many more eye-catching designs on their website. Excuse the name please, but this is some serious mascara! And, the effects are great! Swipe a few swipes in the morning before work, and even after work, if you are meeting friends or a certain fella, swipe a few more times for an even more dramatic look. Never clumps and is instantly dry. Y’all. I get so excited about trying different soaps. Many of my friends love all the fancy body washes, cremes, or lathers, but I love a really good, luxurious bar soap, and my latest find is this Swedish Dream Seaweed Soap from one of my favorite shops in the whole world, Terra Cotta in Savannah, GA. After my last visit, the girls dropped a bar of it in my shopping bag as a surprise for me to find when I got home later. It was a sweet surprise indeed! 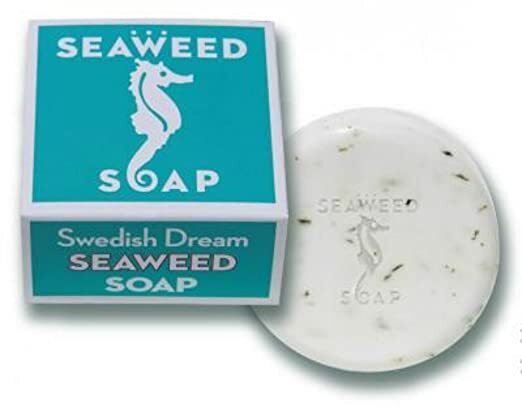 This soap features active marine algae extracted from select seaweed which acts as a protective moisturizer and nutrient for your skin. It acts as a gentle clarifier, removing impurities, & leaving the skin ultra fresh and clean. It smells great too! Not too feminine or masculine of a smell. Just clean. My mom introduced me to these L’Oreal clay masks over the Christmas & New Year’s holidays and I’ve been addicted to them ever since. 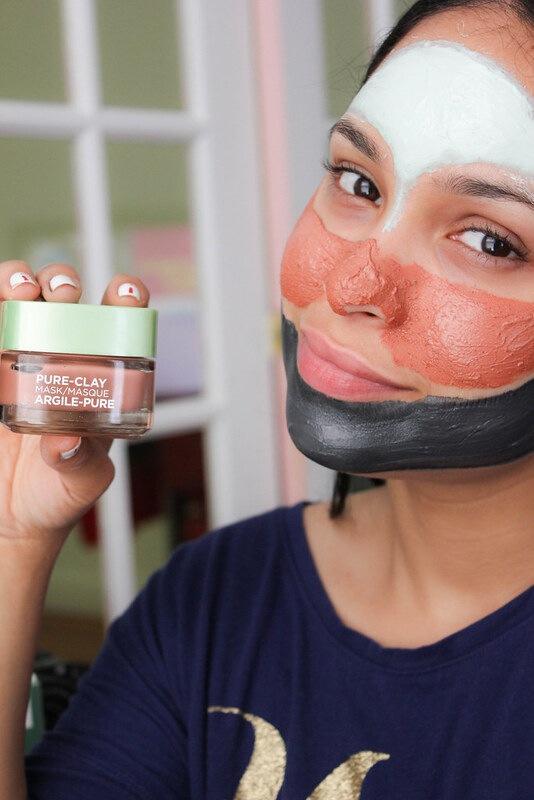 I have been a long-time user of clay or charcoal masks, being an adolescent, teen, and then adult with acne prone skin, and I love how it clears my pores and leaves my face smooth and purified. But these masks are the next level! A Pure Clay Purity Mask that is purifying and mattifying, a Detox Mask that will detoxify and clarify (my personal favorite), and the Glow Mask that gently exfoliates and brightens. And even more amazing? You can use all 3 simultaneously and in tandem with one another because sometimes different areas of your face have different needs. These are genius and they are within arm’s reach at all your favorite local retailers: Wal-Mart, Target, Walgreens, CVS, and Ulta Beauty. Read about all 3 Masks here. Have you ever listened to an audio book? But, not just any audio book, an Audible by Amazon? Wow! They totally rewrote the rules on Audio books. It’s totally submersive. In fact, a coworker of mine recently said she cannot wait to get in the car for her rides to and from work because she loves “reading” books to and from. I loved that! And can you imagine how much more exciting a work out could be? You may be walking a trail, but your mind could be exploring far off worlds or galaxies, fighting in WWII in France, or even hearing the Magnolia story from our favorite couple in Waco, TX. In fact, if you have not experienced an Audible, I will give a $5 gift certificate to the first 2 people who comment below in the Comments section and be sure to list the email address where you would like this little e-card to be sent! Come on… take me up on the offer. Comment below!!! There is nothing more relaxing that curling up with a good book or a great mug of tea on a quiet afternoon or morning. It is sheer luxury. 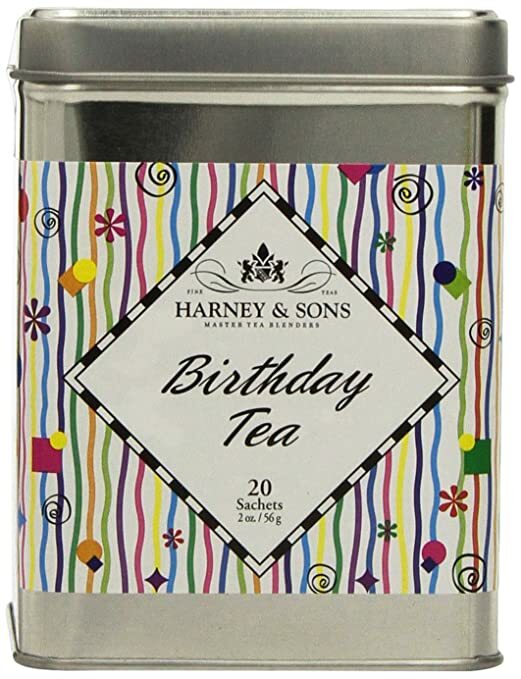 And this festive Birthday Tea in its “party tin” is absolutely delicious! It’s aromatic, fruity, and flavorful combining Hibiscus, Rosehips, Decaf Ceylon, Pomegranate, Vanilla flavor, Peppermint, Marigold petals, Cornflowers. It’s a lovely decaffeinated tea to enjoy hot or iced. And what could be cuter to enjoy it in than these hand-painted “French lesson” mugs from La Madeleine; French Country Kitchen & Cafe. Aren’t they adorable? I snatched these up from my local La Madeleine just a few weeks ago, so run, do not walk to your local location today. They have 4-5 different designs they are currently showcasing, but there is jut something about that “Bonjour” with the sunrise coming up over the lavender fields that makes me smile. Take the guesswork out of indoor grilling for good with this All-Clad Electric Indoor Grill complete with Auto-Sense Technology. The grill panels easily lift out and go right into your dish washer. No fuss! That’s honestly my most favorite feature. And all the proteins I have grilled thus far turn out juicier than on a standard, outdoor gas or charcoal grill. I continue to be blown away by the results… and you will too! Watch this video below for a brief demonstration on how to use this amazing piece of equipment. I promise you, it may seem like an investment (and it is a very specialized kitchen tool), but you will be inventing items to grill every night of the week. Chicken, pork, beef, burgers, paninis, veggies, fruit, even lettuces for grilled salads! So, those are just a few of my favorite finds from beauty products to fashion & accessories to entertainment and even to indoor grilling! I hope you will try a few of these products and that you will love them as I do!